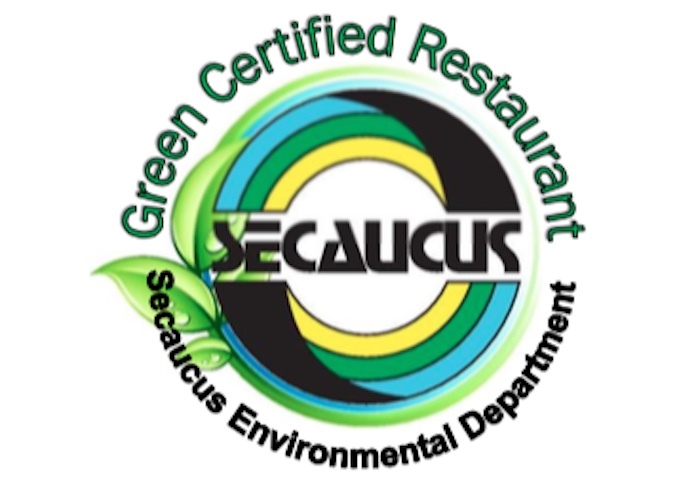 SECAUCUS, NJ- Along with the Environmental Department, Environmental Director Amanda Nesheiwat, has put together a Green Restaurant Certification Program. Restaurant owners who are able to collect at least ten points in green efficiency and conservation will showcase a sticker in their front window, letting their customers know that they are supporting an environmentally friendly establishment. Restaurants will be assessed based on waste management, energy use, water conservation, transportation, pollution reduction, social responsibility and commitment to the local economy. Owners can collect points if they use organic cleaning products, offer optional or digital receipts, use energy-efficient light bulbs and more. The first establishment to gain green certification is Secaucus native Gina Petruzelli’s bakery, Sweet & Flour. Petruzelli grew up in an environmentally friendly home and took her green skills over to her growing business saying, “Giving back is our big thing. Whether it’s giving our extra pastries to the senior citizens in town or making sure to use organic products, we are just trying to contribute as much as possible.” Petruzelli received twenty-two points, proving that her treats are great for a sweet tooth and even better for the environment. In addition to this new program, Amanda and her team have been working year round to improve the Town’s environmental habits. With events such as community cleanups, the annual Green Festival and the Green Summer Speaker Series, the environmental team is dedicated to making Secaucus as green as possible. For more information, please contact Amanda at (201) 864-7336.